Do you need an excuse to get away? I have a great one for you! 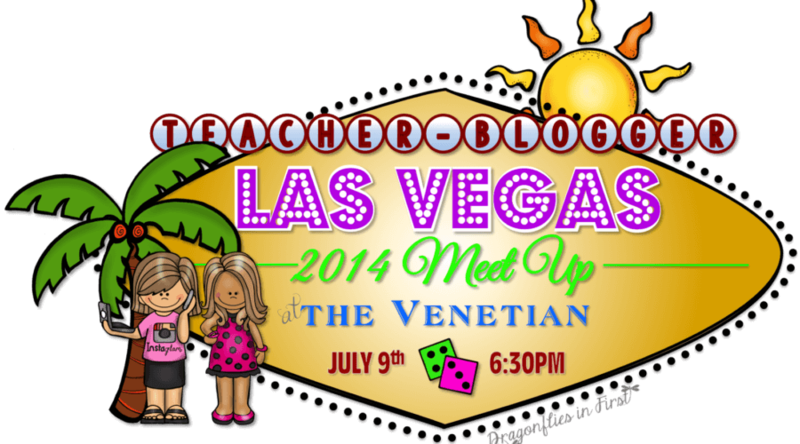 Our amazing Las Vegas Teacher-Blogger meet up is only a few weeks away!! There will be lots of fun, lots of laughing, and TONS of prizes to give away. We have refreshments (thanks Staff Development and TeachersPayTeachers) and lots of surprises in store. So many amazing, teacher loving sponsors have agreed to take part!! I promise you don’t want to miss out! Come join us! *All teachers are invited! You do not need to be a blogger to join the fun! RSVP on the meet up FB page! *Download the name tag template and create your name tag to bring with you! *The meet up will be held at the Venetian. We will have more details about the room as our numbers finalize. Follow the Facebook Vegas Meet Up Event page to get updates on the exact location. I am super excited for this Vegas trip! This meet up is going to be amazing! Will I see you there? I can't wait!!! I am so excited to be going! So looking forward to meeting everyone!